If you already own the Kinefinity’s TERRA 4K cinema camera, you’ll be pleased to know that the device will soon get higher frame rate recording options via a free firmware update set for release in May 2019. The imminent update will increase frame rates for both 4K (4096×1720) and 2K (2048×860) recording modes as these will go up to 160fps (from 100fps) and 320fps (from 240fps) respectively making the camera even more capable tool when it comes to slow motion capabilities. The TERRA 4K is part of Kinefinity’s line of small form factor cinema cameras with a sub-S35mm CMOS sensor (19.5 x 13.3mm) that features Dual Native ISO(3200/800) and records both Apple ProRes and Lossless KineRAW internally. The captured footage is stored onto 2.5-inch SSDs for fast data read and write speeds. An extra feature included is the ability to upload and use in-camera LUTs so that you could test out different color looks while shooting. For lens mounting, the TERRA 4K provides several mounting options through its exchangeable KineMOUNT all of which can be swapped on the fly. Surprisingly, Kinefinity even offers a Sony E-Mount for the camera, allowing you to use your own set of E-Mount lenses with ease. 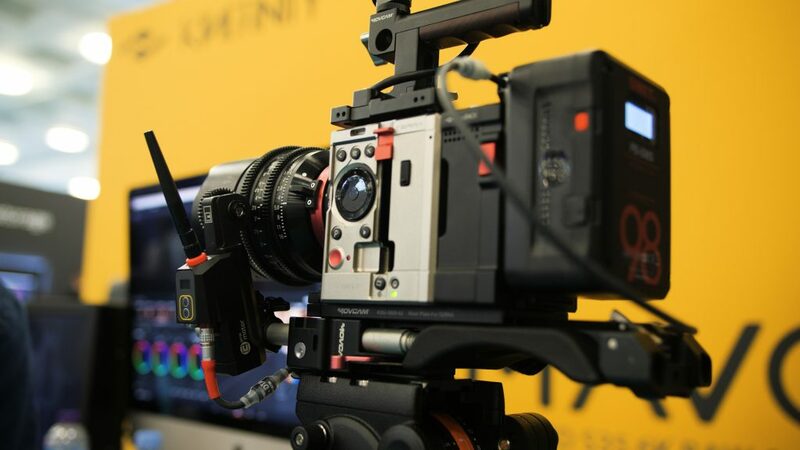 Besides the entire lineup of cinema cameras, at NAB 2019 (booth C11535), Kinefinity are also showcasing their recently announced products the KineMON-7H monitor and KineEVF viewfinder.